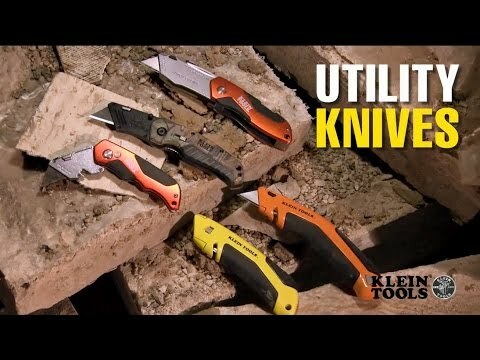 Quickly and safely switch out blades in Klein Tools' Auto-Loading Folding Retractable Utility Knife. The simple, three-step Auto-Loading feature lets you change the blade with minimal exposure to the knife blades. Just push the blade release button to remove the old blade, slide the lever back, and push back out to release the new blade. An internal blade storage area holds up to three blades. Blades are intended for cutting only, and should be handled and disposed of with care.